How can more cash players arrive at your landing pages and deposit? Our goal is to provide choice for online visitors - the very best choice, ensuring your chosen target audience have the best possible chance of winning big. We create strategic marketing solutions from a player perspective, as players are the most important part of the iGaming industry. Unparalleled iGaming insights for our clients﻿. GlobaliGaming.com is the trusted international specialist iGaming consulting group working with iGaming partners and media agencies throughout the world to drive cash deposits across a wide range of Gaming niches. We work in confidence with iGaming merchants and assist ambitious iGaming entrepreneurs in their aims and business objectives every single day. Our unblemished reputation in the industry is built upon outstanding personal service, specialist knowledge, responsiveness, and a passion for high performance results in our chosen iGaming markets utilising a flexible range of revenue models including, CPA, CPD, CPM, CPC, and other more exotic variants in direct response to client requests. Real Money Casino, Sportsbook and Binary Options are all represented in our advertising business portfolio and we are dedicated to driving cash deposits to the finest iGaming products in each of these business categories. We are also developing new areas we wish to serve in the future in the most exciting emerging business areas such as Social Gaming, Multiple MPC quick win games, and Mobile Bingo. Utilising specialist management practices such as SCRUM and PRINCE2®, Globaligaming.com puts people and technology at the heart of everything it does, whilst never losing sight of the chosen outcomes. ​Working on a wide range of exciting and fast moving iGaming projects ensures GlobaliGaming receives valuable market insights which are used to assist all of our consultants for the benefit of all clients of the company. This has saved many of our clients valuable time and the immense cost of conducting bottom-up research and development in-house, in critical and high priority areas. 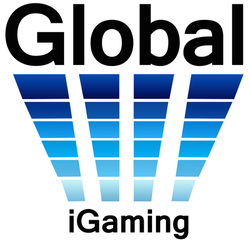 GlobaliGaming has been heavily committed to the iGaming market since March 2007, undertaking R&D projects with iGaming companies, affiliates and publishers and is proud to have helped numerous businesses, both large and small to prosper and consistently generate substantial cash deposits from the iGaming market. Our clients include some of the largest iGaming businesses in the world and their various marketing partners; all relying on us to deliver sustainable cash deposits in each of their respective operating jurisdictions. With our knowledge you will find the power you are looking for to ensure the peak performance of your enterprise in the mobile and desktop cash iGaming market. We initiate all projects with a realistic and sensible long-term outlook using advanced resource planning to ensure we not only meet our clients' expectations; but time and again - exceed them, with our exceptional and unique contribution to every assignment. Contact us and tell let us know what you're looking to achieve today, or just have some fun right now with free casino games from www.mobilecasinofun.com or ﻿www.slotjar.com﻿. ​“Since August 2010 Probability has worked with Sacha Meakin and his GlobaliGaming.com team. The marketing activities are constantly evolving and expanding, whilst constantly driving new player acquisitions. "Right from the start, GlobaliGaming has impressed us with excellent traffic that converts to high value players across all of our brands. "GlobaliGaming's websites deliver constant traffic, and their versatile services have helped us generate our required results. We highly recommend their services and are deeply influenced by their efficient and professional manner." "GlobaliGaming.com are consistently a top performer and bring through quality traffic regularly. They are known within our organization and the industry to be able to consistently bring in new depositing players for mobile and desktop iGaming products/merchants. Both GlobaliGaming and the mobile program have been highly profitable over the past several years. "When Income Access starts to work with a new product, GlobaliGaming.com is regularly called upon for up to the minute, expert market insight. Our partners at Global iGaming drive volume results with high player lifetime values. Sacha and his team are one of the top performers in the industry and we can’t say enough great things about them"
GlobaliGaming is a full service cash iGaming marketing consultancy with casino partners situated around the world. International Casino marketing: B2B consultations, business planning & strategic advice, player acquisitions strategy, technology expertise, mobile and on-line marketing. *iPhone, iPad, Blackberry, Nokia, and Android are registered trademarks of Apple Inc, Nokia, Research In Motion Limited and Google Inc. respectively. GlobaliGaming.com operating jurisdictions are limited to those where online gaming is lawful.